Home Beauty Buzz Would you Wear Temporary Lip Tattoos? I am constantly getting emails from young aspiring makeup artists who want to do what I do – work on editorials and with celebrities. Often times they want me to take a look at their portfolios… I generally oblige and more often than not these portfolios consist of several very “artistic” shots including of course the requisite pair of lips coated in candy sprinkles, or painted with zebra stripes. 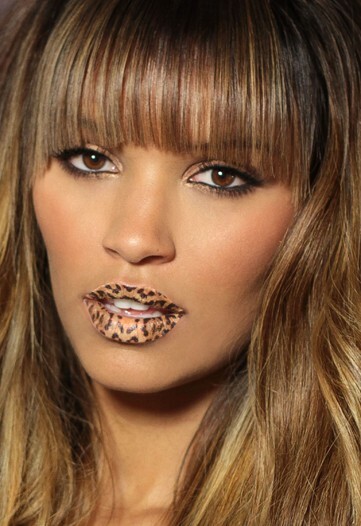 For some reason this has been an overdone trend in the makeup world for a few years now… heck I even did the candy coated lip thing about eight years ago…But now everyone can wear this kind of lips service. A new company called Violent Lips has recently launched temporary tattoos for lips, set in motion by Chanel and Temptu. 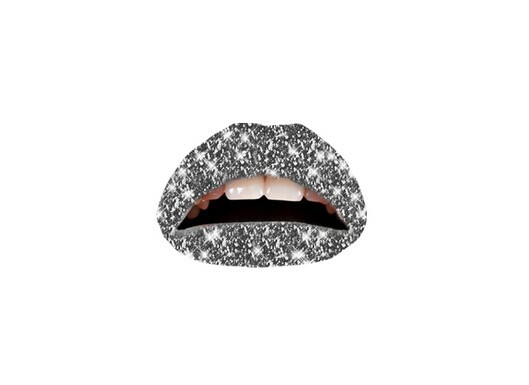 The light bulb moment for Violent Lips, started by music manager Jeff Haddad and his partner Lori Magnier, arose after Haddad’s nine-year-old daughter garnered many a compliments from decorating her mouth with Chanel temporary tattoos. 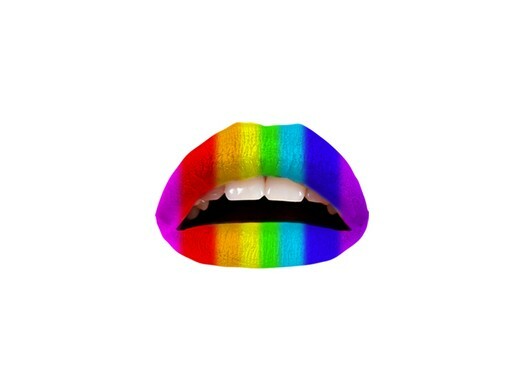 If only Haddad could make removable tattoos specifically for lips, he thought, he’d have a hit on his hands. “We’ve been paying makeup artists to do this to our artists on shoots, and nobody has made it,” said Haddad, who has worked with The Pussycat Dolls. After an initial investment of $188,000 and some eight months of development, Haddad said he arrived at a patented process to produce impermanent lip tattoos that have been approved by the U.S. Food and Drug Administration. 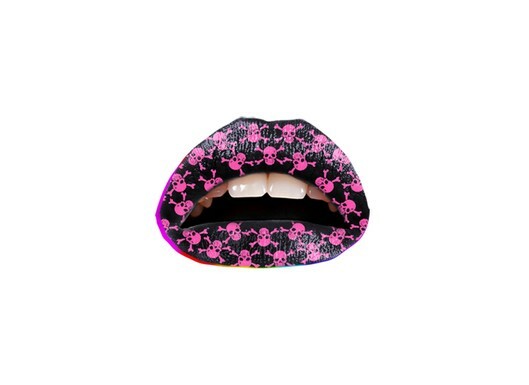 Violent Lips’ temporary tattoos come in three-packs for $14.95 and are applied in a four-step process. They last four to eight hours — to endure a raging “night out,” Magnier suggested — and can be removed with mineral or baby oil. Decidedly not for beauty introverts, Violent Lips premiered last month with a lounge inside the Las Vegas nightclub Gallery. The brand has doled out hundreds of temporary tattoos daily to club goers in 12 designs, including prints in polka dots, zebra stripes and cheetah spots, and colors from red to rainbow. Four glitter varieties will follow, and 18 more designs will make their debuts after that. Violent Lips can also be customized, and candy store Sugar Factory has signed on for 10 sweets-inspired removable lip tattoos. Haddad estimated Violent Lips would sell 1 million units by the end of this year. The brand will extend beyond lips into eyelids next; there are 10 eyelid designs scheduled to launch in around six weeks. 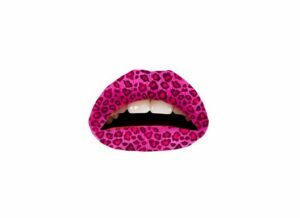 Describing Violent Lips as “Minx for the lips,” Haddad said the brand will enter spas and nail salons, but has plans for wider retail distribution as well. He mentioned that Macy’s and Sephora are on his retail wish list. 6 of the best and worst beauty trends of 2012!